I'm a huge fan of handmade and personalised gifts for special occasions, and one wonderful company that sells unique baby gifts is Scamp Baby Gifts. Super clever and crafty sisters Stacey and Jennifer set up the company at the beginning of 2010 after it proved difficult to find lovely, unusual and affordable items for their children's bedrooms. 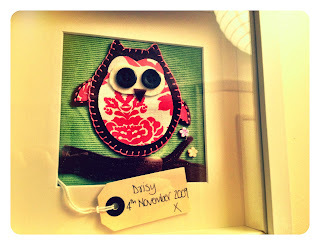 They sell absolutely beautiful handmade babygrows, blankets and bibs, cushions and nursery wall art ~ perfect presents for new babies ~ and recently sent Daisy her very own Hootie McTootie framed owl picture! 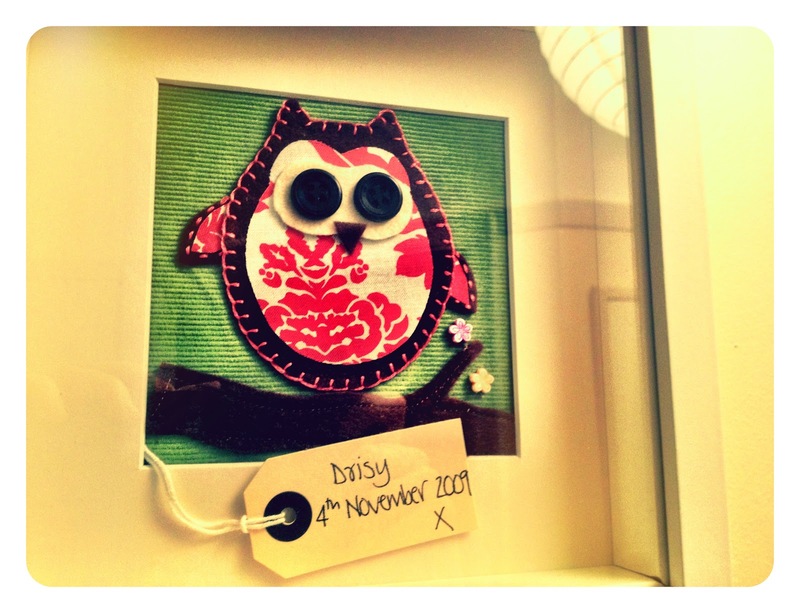 Daisy loves owls, just like her Mama, and she was made up when she received this in the post! It now has pride of place on her bedroom wall. 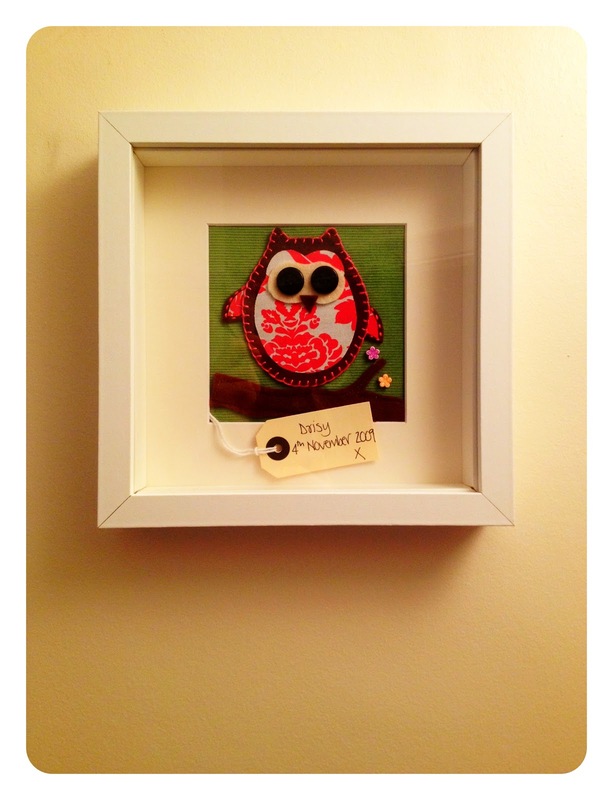 Hootie is handmade and handstitched using beautiful pink printed fabric, and has big shiny button eyes. She sits on a branch next to pretty flowering blossom and is set within a white painted box frame which can be hung on the wall or made to stand up on a shelf or mantelpiece. The quality is exceptional and the finished picture can be personalised with a short message written on a tag. A child's name and date of birth would make a gorgeous new baby gift. You lovely people have the chance to win one of these personalised pictures of your very own. All you need to do is to follow Scamp on Twitter (here), like them on Facebook (here) and leave a comment in the box below to say you have done so. Now for the boring stuff! The competition will close at 23.59 GMT on Wednesday, 14 March 2012 and I will randomly select a winner the following day using random.org's random number generator. The winner will be announced on this blog, on the Modern Mummy facebook page and on Twitter. This competition is open to UK residents only. The prize winner's details will be forwarded on to Scamp Baby Gifts who will send on the prize direct. Very gorgeous owls. Loving Scamp on Facebook and twitter. LOVE LOVE LOVE these Hooty owl pics! Twit-Twoo gorgeous Scamp! Ooooh! I very much love these and so would Sebastian :) I've followed and liked - fingers crossed! Oh, very pretty! I'm sure my little madam would love this - I know I would! This is so gorgeous..I love it! Oh so pretty ! love it . I recently discovered Scamp too - lovely stuff! 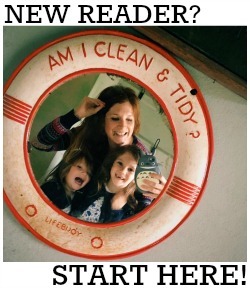 Have you seen their website photo, as little children against that fab seventies backdrop? So sweet.